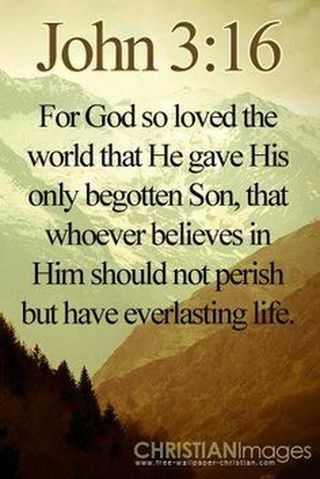 Jesus Christ is the Son of God, and he was born of a virgin, and lived as a man about 2000 years ago. Jesus set an example for how we are to live, living a perfect life of service, teaching, by faith healing others, by faith kicking demons out of them (even Christians), telling the truth about God and Heaven and Hell, showing love to people, offering worship to the Father, and therefore he always pleased God the Father. But the Jewish religious leaders of the day didn't like Jesus destroying their authority with incredible sermons and miracle power, they didn't realize Jesus was their Messiah and God who had arrived exactly on schedule, so they had Jesus nailed to a cross. But because Jesus always obeyed God the Father, He never displeased God the Father with any sins at all like we humans do like hatred, murder, idolatry, adultery, divorce and re-marriage after you are already a born again Christian, getting drunk, sleeping around, jealousy, stealing, cursing, gluttony, lying, or anything else, THEREFORE Jesus was a perfect sacrifice whose sinless blood cleanses you of all your past sins when you believe in and follow Jesus. As you grow in believing promises made by God to you in the Bible, you will grow in faith, so others deceive you less and less, you will be ever more like Jesus. As you learn more about God and following Him, you grow up more and more in the Christian life, you will worship God, you will read or listen to your Bible and grow in faith to cast out demons from other people in Jesus' name, break curses from witches, satanists, and even Christians in sin, give to the Lord's work, receive the Baptism of the Holy Spirit so you can pray in the Spirit, lay hands on the sick so that they recover in Jesus' name, you will prosper, and life will be evermore an exciting adventure. Finally, when your body wears out and dies, you will be escorted by angels of God to Heaven, so Jesus and God the Father can love you and you can love them forever. Heaven is a place where there's health, joy, riches, beauty, super interesting things to do, and everything and everyone is wonderful for all eternity, and Heaven never gets boring, dull, uninteresting, ever. If your sins were not forgiven, you would be dragged down to Hell and then the Lake of Fire, to be tortured forever as punishment, since the God of the Bible is a God of love AND justice. An earthly judge who didn't punish crime would be a joke, and God is far better than an earthly judge, so while God is a God of justice and therefore must punish sin, God is also a God of love and forgiveness would rather forgive folks by having them believe in God the Son, who is Jesus Christ, so they go to Heaven instead. So please, you don't have to live lost and confused and sad following and being deceived by Satan and his devils and demons, and then go to Hell to pay for your own sins forever. 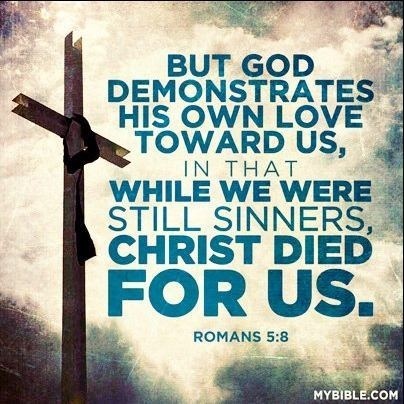 Jesus paid for your sins, because He loves you dearly, and you will learn to love others. 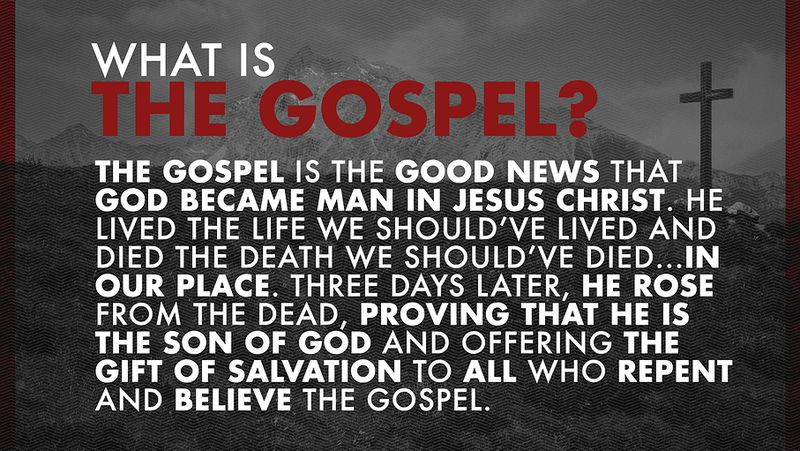 That if thou shalt confess with thy mouth the LORD Jesus, and shalt believe in thine heart that God hath raised him from the dead, thou shalt be saved. For with the heart man believes unto righteousness; and with the mouth confession is made unto salvation. Please, say to Jesus He is Lord and you believe that God has raised him from the dead and that you believe He loves you and died in your place on the cross taking all your sins, sicknesses, and curses, and you love Him for it, and that you believe in Him, and He is Lord of your life, and you believe He rose from the dead, and you want to and will follow and serve Him and live clean, the Son of God, Jesus Christ, forever. I've been a Christian since late 1999, and though I don't yet live perfectly and I lose some battles, I am learning to live better and win more fights of faith, and life gets sweeter all the time, even though Satan hates me and wants me dead, and tries to discourage me, but I keep on renewing my mind to believe God's promises and I then praise the Lord, HALELUJAH! The Lord Jesus heals and helps me inside and out, and I get better and better at defeating Satan. I am a wretched sinner on my way to eternal damnation in Hell, and I need forgiveness & healing so I can go to Heaven. I believe that Jesus Christ is the Son of God, born of a virgin, who lived a sinless perfect life as a servant, who healed & taught & showed the way to live and please the Father. I believe Jesus loved me when I was a sinner, and died on the cross, shedding his precious blood, which I believe in, and atones for my sin. Thank you Heavenly Father for calling me. I will “...give diligence to make [my] calling and election sure” per 2 Peter 1:10, and “...work out [my] own salvation with fear and trembling” per Philippians 2:12, and strive to believe & do “...the whole counsel of God...” per Acts 20:27. Please send your Holy Spirit into me right now, so he can guide me, and be my counselor for all eternity. I come before You now to receive all that You have for me. I have already accepted the Lord Jesus as the Lord and Savior of my life, so now I open myself to receive the power of Your Holy Spirit. You said in Your Word that if I asked, I would receive the power of the Holy Spirit. You said in Your Word that if I asked, I would receive, so I ask You now to fill me to overflowing with Your precious Holy Spirit. I receive Him the Holy Spirit now by faith and expect to speak with other tongues as He gives me utterance. I am yours Father and in gratitude I will love you, praise you, thank you, and pray to you with faith, in Jesus name for the rest of my life. Because you have sent your Holy Spirit, I listen for where the Holy Spirit leads in righteousness per Romans 8. I happily follow you Jesus, not to get saved or Born Again, but out of gratitude because you have saved me and sent your wonderful Holy Spirit to live inside me, and guide and counsel and help me live this Christian life of adventure and success, amidst adversity. God, because you are God and you are the final authority in the world (Romans 13:1, Daniel 4:17), I cast the whole of my worries of this world on you Father, in Jesus' name, so you can take better care of me than I could ever take care of myself. Therefore I consciously stop all worry over finances, relationships, politics, health, clothing, etc and instead trust you God to work out those problem areas of my life to my good per Romans 8:28 as I keep loving and trusting God, and walking in his perfect will per Romans 12:2. Finally, I will make time to shut out the world, and go to a place where no one can see me, worship and love and adore and declare my allegiance to you and your will the Bible per John 4:24 and Matthew 6:33, because while we were yet sinners Jesus died for us per Romans 5:8. Because you rescued me from eternal punishment in Hell for my sins, I love and worship and follow and obey you God according to what the Bible teaches, and you God in love will bless me according to my firm relying trust in the promises you made to me and other Christians in the Bible. For example, I will get water baptized since your Holy Bible says “Repent and be baptized for the forgiveness of your sins” per Acts 2:38, and I will get baptized in the Holy Spirit so I can pray your perfect will for myself and the church and be built up in my spirit, so I can withstand tough times and emerge victorious. I am completely yours Heavenly Father because you love me and I love you also, and I will strive to be “transformed by the renewing of my mind” per Romans 12:2 so I can follow Christ “in his footsteps” per 1 Peter 2:21. This means I will also learn about divine healing, and casting out demons. Praise the LORD, 2 Corinthians 5:17 says I am a “new creature”, because my pre-Christian sinful, sick, faithless self died on the cross with Jesus per Romans 6:6. Therefore, as I agree with your Holy Word when I believe and say that I am “dead to sin”, “free from sin”, “walk in newness of life”, “baptized into Jesus Christ” “circumcised with the circumcision made without hands” into a “new creature”, I am dead to sin and walk in victory over sin. I give myself to you completely Father. I will read or listen to your Word as much as I can so I can grow and tell right from wrong, fight Satan's temptations and oppose Satan's power by speaking Bible verses like Jesus did in Matthew 4, and learn to share the faith. I submit to and therefore follow you God, and I resist the devil in the faith per 1 Peter 5:8-9, telling the devil to "GO, in Jesus' name!" like I'm sending away a spoiled begging dog. I will treat the Lord's Day with respect, by me not working to make money, and me not forcing anyone to work, so it can be a day of rest and healing for everyone. Most importantly, I will consistently make time to pray with faith and repentance from my old pre-Christian sins, and I definitely will put first first by worshiping you out of heartfelt love and gratitude for you saving me, and I will do as Jesus said and speak to the mountains in my life in Jesus' name. I have prayed this prayer of commitment to you Father, in Jesus' all-victorious name. Glory to Jesus! You are now Born Again, and a brand new soldier in God's army. Therefore, Satan now Wants You Dead, So Pick Up Your Weapons and Fight For Your Life, and the lives of those around you! Satan wants all Christians dead, and knows that one of the most vulnerable moments in a Christian's life is right after they get Born Again, and Satan will readily use unbelievers, and backslidden Christians or deceived Christians to hurt you. When I first became a Christian, I thought I had joined a rose parade of love. Indeed, God is love and Christians are to love everyone, even their enemies. But beyond being loved and redeemed by God, I had become one of Jesus Christ's newly minted soldiers, and as a result Satan wanted me dead, quickly. This meant he tried and succeeded for a time in tricking me into false teachings, hurting me by keeping me in sin, sending people to hurt me, and so on. Regarding false teaching: How can we tell Bible truth from Bible error? Bible Truth works for you and helps you bear fruit as a Christian which means among many things that as our souls prosper we experience joy, repent of sin (God is patient and will give you years, but don't fall into the trap of thinking you have forever to quit sinning), avoid Satanic traps, win souls to the Kingdom of God, enjoy good health, and we experience financial prosperity. On the other hand, false teachings which are not of God but are of Hell trap you and/or others in sin, pride, and other forms of fruitless suffering that neither impress Heaven, nor win any souls to the Kingdom of God. "My people are destroyed for lack of knowledge ..."
Satan has had about 6000 years to practice deception on Christians that lived and died before you. He knows how to approach weak Christians in order to deceive, and how to steal, kill, and destroy per John 10:10. So, to walk in victory in this Christian life, may we always walk in the truth of the light of God's Word, the Bible, so that we have knowledge to secure victory for ourselves, and for others. 2 Corinthians 10:4-6, Ephesians 6:12, 1 Timothy 6:12, 2 Timothy 4:7 all say the fight of the Christian is spiritual through faithful prayer, and Colossians 4:12, Romans 15:30 say that prayer is work. Proverbs 21:1 says that God can change hearts, and Luke 18:1 urges us to never give up on prayer, and 1 Thessalonians 5:17 says we should never stop praying. If we Christians carve out every spare moment to seeking first the Kingdom of Heaven and it's righteousness per Matthew 6:33 and following God's Spirit per Romans 8, which normally means reading or listening to our Bibles, prayer with understanding, praying in tongues, praise, speaking Bible verses when Satan tempts us like Jesus did, and obeying Jesus, then we will have the Christian life we read about in the Bible in the book of Acts where it is an unbroken chain of joy-filled lavish extravagant stupendous victory, despite persecution and hateful opposition. 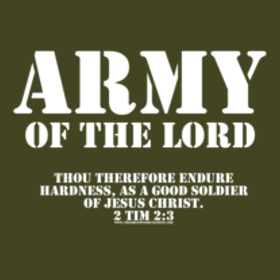 In other words, if you're a fully dedicated Christian soldier, you will be victorious. If you're not, and if no one else who is serious is praying for you, you'll wind up defeated, or dead in Hell, or both. In all of God's dealings with us, the promise and its conditions are inseparable. If we fulfill the conditions, He fulfills the promise. What He is to be to us depends upon what we are willing to be to Him. If we are 100% faithful to Jesus continually, then Jesus is 100% strong for us, continually. For the eyes of the LORD roam throughout the earth to show himself strong for those who are wholeheartedly devoted to him. Again, the Christian soldier's fight is not physical per John 18:36, Matthew 26:52, and Matthew 5:39. For more on this please see Luke 22:36 is not license to fight the USA Government. - To walk with God, we must agree with God so to agree with what God says in the New Testament about who you are as a Born Again Christian, you believe & say you are a new creature in Christ (Romans 6:2,3,4,18,21, Colossians 2:11, 2 Corinthians 5:17), and we agree with God that we are more than conquerors, as we follow and walk with Jesus. - The 2 Timothy 2:3 Christian soldier always striving to live perfectly before God, and "perfectly" simply means they never giving up striving to love and reverence God, and never give up repenting of all known sin. - Always maintaining an attitude of vigilant repentance, renouncing, and resisting sin. - A baby Christian has just as much authority over Demons, Devils, and Satan as any seasoned apostle, and unless a Christian does something about Satan, nothing will be done: Matthew 28:19 and Mark 16:17 are where Jesus both claims and delegates authority over Satan and sickness to Christians, and 1 Peter 5:8-9 is where the Holy Spirit tells us it is for us personally to resist the devil, and the Holy Spirit also tells us in Ephesians 4:27 not to give the devil a chance/opportunity. It is unscriptural for Christians to pray to God to resist the devil for the Christian, rather we give orders to Satan, demons, devils in Jesus' name, like we see Paul do in Acts. - Because Proverbs 18:21, Romans 10:9, and Mark 11:23 all tell me that the words I speak are critical, I exercise my Jesus given authority by binding and casting out devils, I laugh at the devil when dark powers come to lie about God not happily and eagerly answering your Godly 1 John 5:14 request. Therefore we follow Jesus as we say to Satan, "It is written!..." - Fasting because Jesus said fasting is rewarded and after He leaves the earth then, "then shall they fast"